Discussion in 'Lounge' started by Chai, May 3, 2017. 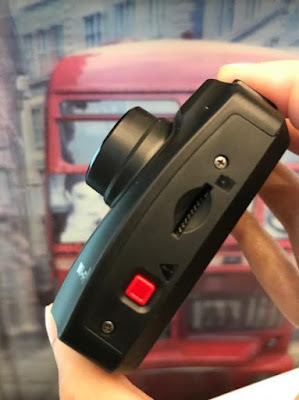 I have been thinking about installing one, but because my cigarette lighter port is always on, not ignition on, I have always been concerned about car battery drain. So how did you install yours? And what model are you using right now? I keep thinking I want to get one but haven't gotten to do it so far. Was also thinking maybe I should just get an action cam (Sony FDR-X3000 with its BOSS looks pretty nice) instead, can be pretty versatile if I want it to be easily interchangeable between cars and bikes. 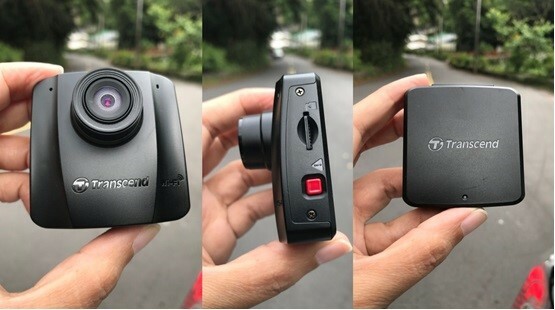 The always on port on your car might be a problem though, most driving-based action cams have some kind of auto-start system based on when you turn on the car so that will confuse or mess up the system. Might have to do manually plug and unplug the cam in this case. But it seems like a more stable way; I always worry about power spike when you start the engine on standard cigarette lighter ports. A118C powered by aftermarket 12V to USB power. USB power hidden behind the sunglasses holder, and 12v side wired to auto dimming mirrors. USB power hidden behind the sunglass console. X3000 is a great choice if you want an action cam, but it's not going to work very well as a dashcam. And it's way too expensive to mount it in the car anyway. Someone recommended Viofo A119 quite sometime ago. I'm not sure it's still a good choice right now. I find dashcam expensive. My brother is selling me his unit but I was surprised with the price so I refused to buy it. Here I got a Transcend DrivePro 50 from 11street last month. 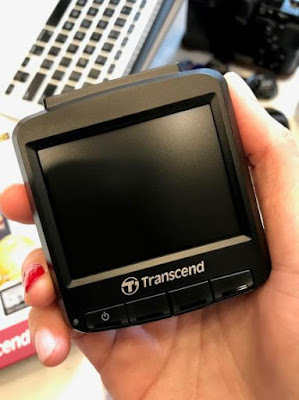 Upon opening the box, it contains the camera unit, 16GB High Endurance microSD card, adhesive mount, warranty card, and a power cable that attaches to the car cigarette lighter. The DrivePro 50 is featured with a wide angle of 130° and a Full HD imaging sensor for 1080p at 30fps recording. It is also equipped with 6 glass lenses to capture ultra sharp images. At the front of it is the camera lens, a microphone and obviously the Transcend logo. On the left side is the microSD card slot and red button that act as the power on, record, and off button. 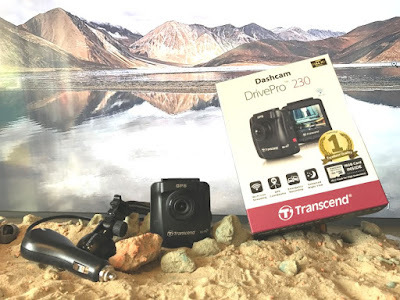 In the event of a collision, the built-in g-sensor in Transcend’s DrivePro 50 will detect the impact and instantly trigger an emergency recording. Emergency recording mode protects the current recording as well as the critical seconds before the accident from being overwritten. Alternatively, you can also manually activate emergency recording mode by pressing the red button on the side of the unit. In the back, there is no LCD but the brand’s logo. Now, the question you may ask is how you will be able to watch all those videos if there is no LCD screen. This is the place where your smartphone will take a dive in. 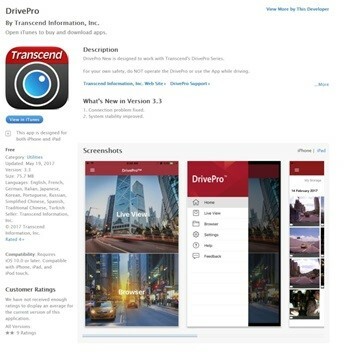 You will just have to download the DrivePro app from the App store or Google Play. The App connects through the Wi-Fi and allows you to watch those videos live or you also have an option of streaming and saving them into your phone. What’s more, through the app, you can change all the settings such as the G-sensor sensitivity, Wi-Fi name and password, video length. To start the process of recording, just presses the red button. It will automatically start the recording as long as it is plugged in with your car. There is an LED light on the left which will turn blue when the recording starts. If you want to watch your video or check if the camera is lined up properly, just use the App on your smartphone and connect it through the Wi-Fi. Here I mounted the DrivePro 50 to the front window of my cart and set off to capture the essence of the drive. What I like about the DrivePro 50 is that it is very easy to mount. You don’t have to read the manual to install it and it only took me like 5 minutes to get it ready for the trip. The camera emits a single beep when powered up. When connected to the DrivePro through the Wi-Fi, you can stream, playback, and download videos, and easily adjust DrivePro 50’s settings on the smartphone or tablet. The good thing is, you can live view what is happening in front of the road even if you are a passenger sitting in the back. The dashcam integrates a wide 130° viewing angle and a Full HD imaging sensor for clear and smooth 1080p (v30fps) video recording. 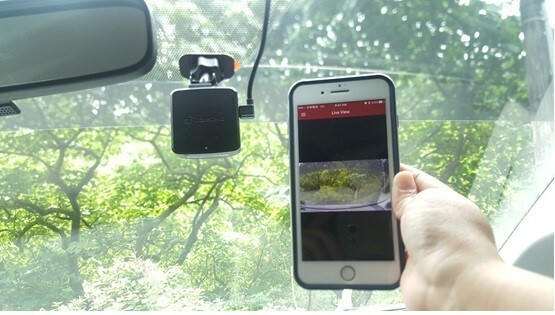 In addition, the 6 glass lenses plus 1 infrared filter lens are designed to prevent fogging from heat generated during extended recordings and to ensure the whole trip is recorded in high clarity. It also has a small built in battery for an extra 30-second recording in case of power failure. 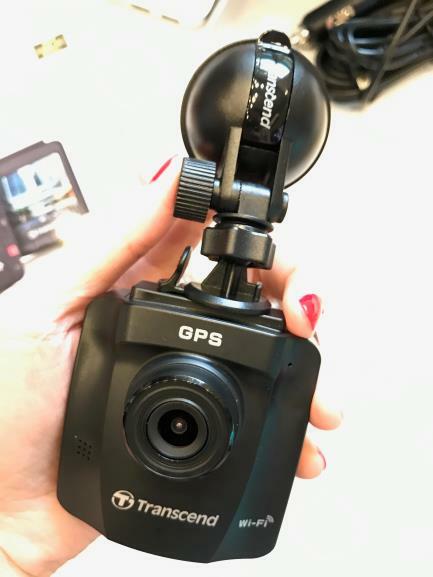 With great picture quality and performance, live streaming to Android/iOS devices, compact design, and included High Endurance memory card, the DrivePro 50 has those important features you need in a dash camera. 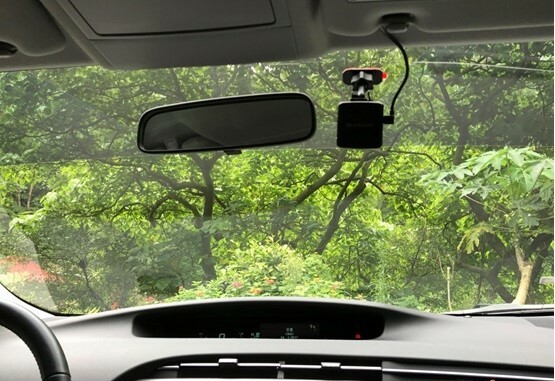 Some dash cameras may come with a built-in LCD viewing screen, while it is also likely to increase the size of the unit. If you want a durable and exceptionally featured dash cam which is from a reliable brand and comes with a warranty, the DrivePro 50 is an ideal choice. My daughter. She loves it! My wife's, mom's and my car are all using A118C. Next upgrade once anyone of them dies will probably be Viofo A119. It goes beyond the average and demonstrates what should be standard in today’s car cameras. 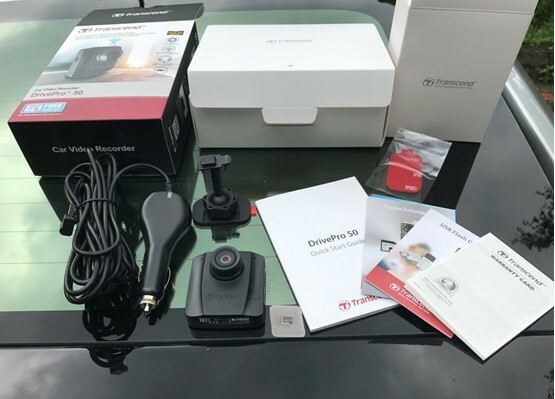 The package includes the HD camera, suction or adhesive window mount, 3.5m cigarette socket power cord, as well as a color, multilingual instruction manual and 16GB Transcend SD Card. 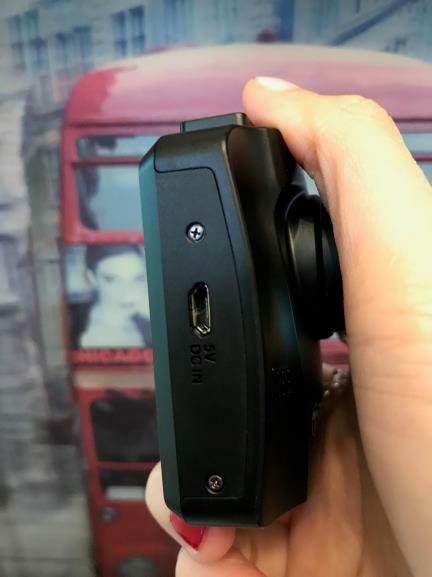 As we examine the camera from the front, we see the wide-angle 130 degree glass lens that is capable of 720p or 1080p video at 30 frames per second, as well as a built-in microphone/speaker. The camera is constructed of a very durable black plastic finish. The DrivePro 230's GPS receiver can log GPS coordinates, date, and time into recorded video footage. GPS coordinates precisely locate where an incident happened so that emergency road services, police, or an insurance representative can respond more quickly. Looking at the left side of the DrivePro 230, we see the slot for the micro-SD card as well as the Emergency Record button. The DrivePro 230 comes bundled with a Transcend 16GB High Endurance memory card built of top-tier MLC NAND flash chips, and tested under harsh environmental conditions. It can operate in temperatures from -25° to 85°C, providing consistent long-life durability and endurance. In the event of a collision, the DrivePro 230's motion G-sensor detects the impact and triggers emergency recording mode. This prevents overwriting of the file being recorded at the time. This feature can also be manually activated by pressing the red button here. The right side contains the micro USB input for the power adapter, a similar adapter also being available to plug into a computer. The DrivePro 230 features a built-in, high capacity Li-polymer battery, so you don’t have to have it plugged in all the time. The back of the Transcend DrivePro 230 has a 2.4” color LCD screen which remains on while you drive. There are also 4 buttons below the display which are used for power, video review and erase, menu and the last is for still shots. You can also take a snapshot JPG photo by pressing its right most button while it is in recording mode. Rounding off its impressive basics is the presence of safety features, such as Lane Departure Warning System, Forward Collision Warning System, Parking Mode, GPS Conditions, Emergency Recording and Parking Mode. All of them are enabled initially but can be disabled through the device settings. 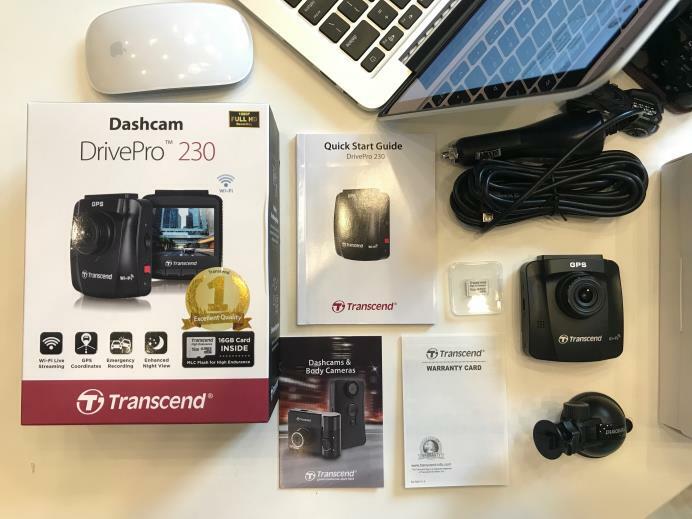 Transcend’s DrivePro 230 is a user-friendly dashboard camera packed with innovative, high-demand features that are guaranteed to keep drivers safe on the road all at an affordable mid-range price tag. 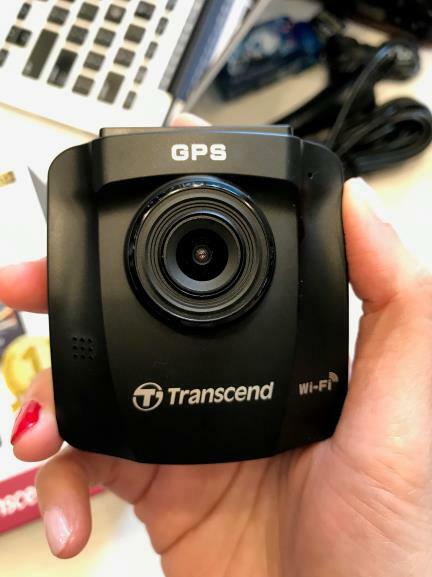 The camera offers a simple set up, intuitive interface and delivers reliable video footage, especially during low light and nighttime driving. 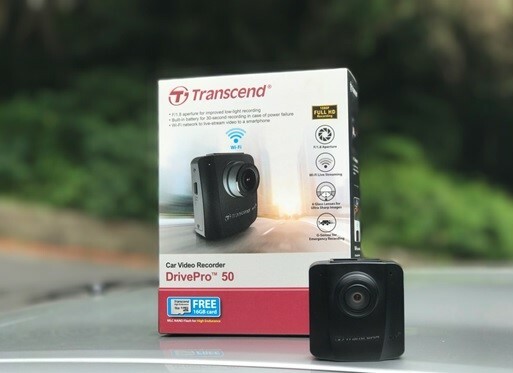 Transcend throws in the added benefits of a 16GB memory card and two-year warranty, ensuring its place in the best dashboard cameras list. Although it's off topic, I saw that X3000 is much cheaper now at just RM1500. Definitely a great buy and comes with Remote Live View.